Freshen Your Home for the New Year -- Wall Paint! it looked great on the chip, but when it went up it was a completely different color. it looked great in the store, but when it went up it was a completely different color. I painted one wall, the color I like as an “accent wall” but it’s just not working. Right. It’s not working because it looks like you forgot to paint the other three walls, or ran out of that color and went with something else. I bet that’s how the ol’ “accent wall” got started. They ran out of paint. Please, this is very important and I am going to say this as kindly as possible. DO NOT PAINT ONE WALL AS AN ACCENT WALL. Ugh. What a crying shame. That’s why. 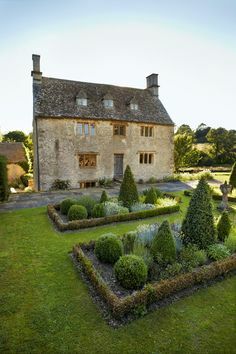 Alright there are some exceptions, which I will go into in another post, but if you have fairly normal walls and room shapes, please, don’t do it. It is never a mistake to paint all the walls the same color. If the color is so gag awful (pls see above) that you only care to see it on one wall, please choose a color that you love. Alright, now that I’ve told you what not to do, here’s what you should do. Hire me. haha! However, if you don’t want to do that and want to venture out on your own, here are some tips that I’ve learned over the years. North facing rooms have grayer, cooler, darker light and it does weird things to paint colors? Paint colors often have undertones of a different color that are not readily seen in all lights? Choosing a paint color at night with only the lights on is not a good idea? Dark colors actually make a room look LARGER? They make the walls recede, just like dark pants make your legs recede. Same principal. What dark colors do, however, is absorb the light, so the room will be darker, but sometimes that’s very nice. Now, that I’ve made you even more nervous, I’m going to give you ten colors that are almost always a sure thing, no matter what. (Of course, there are many, many more, but the idea is to cut through to some of the best). These are all going to be from Benjamin Moore. I do like some other companies as well, but BM is readily available and has some wonderful colors; thousands actually! One rule that always works well is to think “sky.” After sky… think water and earth. The colors of sky, water and earth— nature, go with everything, don’t they? Mom nature is the most brilliant designer ever! All photos via pinterest unless otherwise stated. Benjamin Moore 2145-70 Cotton Balls. This is a very clean, fresh, warm white. It’s one of their most popular whites. Benjamin Moore 1471 Shoreline. Pale grey is very hot right now, but it is also a classic color. Shoreline, is a pale complex grey which seems to change shades very subtly throughout the day. I painted my bathroom this color and I’m a very happy girl! Benjamin Moore 2108-60 Abalone. A wonderful, warm, neutral, not beige, not grey, but a combo of the two with a subtle lavender undertone. I just did it in two bedrooms. One faces north and one faces south. It looks sensational in both rooms; very versatile! Benjamin Moore HC-168 Chelsea Gray. This is a very sophisticated dark, warm gray with a hint of taupe. Brooke Shields used this color in her New York apartment. Benjamin Moore White Dove trim with Linen White walls. These are in their standard white collection. Linen white looks its best in a well-lit room. Benjamin Moore 1563 Quiet Moments. This is an extremely lovely light blue-green with just enough grey to keep it from looking like toothpaste. If you want to try a more grey tone, 1598 silver lake is also very nice. This is Benjamin Moore HC-169 Coventry Gray. This color goes with EVERYTHING. It is a medium gray with blue undertones. Benjamin Moore, HC-172 Revere Pewter. There are paint aficionados who claim this to be THE perfect color. It is a warm grey with olive undertones. It also goes with everything! For the more adventurous, this is Benjamin Moore HC-166 Kendall Charcoal. Alright, I have never used this color before, but for everyone who’s ever used it, they have fallen madly in love with it. I could see it in almost any room. It is dark, warm and rich and makes a wonderful background for art. Please notice that I stay away from “color of the year” gimmicks. The colors here are colors that you can live with and then you can ADD the color of the year! My final word, today is about white. White is a color, too! And for me, the most beautiful of all. It is never wrong to paint your walls a lovely white with a touch of cream or grey. It’s classic and goes with everything. Stay safe and warm if you live in the frigid zones! 1. Does an open floor plan always require one paint color throughout the open areas? 2. 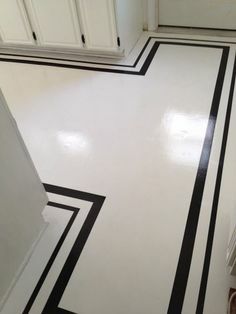 How do you stop and start different paint colors when the outside corner beading on the walls is rounded? Should you not use more than one color in this situation? 3. 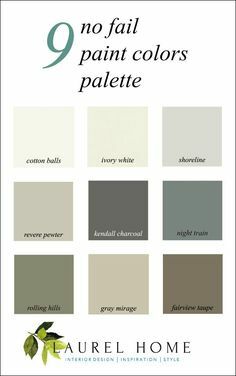 How do you select paint colors for a busy travertine floor that has most undertones represented in it (from pink-beige to gold even gray, cream, and tan) or does everything go with it? 4. Is painting kitchen and bath cabinetry durable? 2. If the corner is rounded, I would tear the wall down and start over. Oh wait. That’s not the answer you want to hear. Yes, you’ll need to stick with one color. 4. It is if the necessary steps are taken and there are numerous steps. As it happens, I have used Butterfield 897. It was about 17 years ago (!) in a north facing living room. It was gorgeous! Just a beautiful, buttery cream color. Mayonnaise is also a nice color but maybe a tad duller. I would make sample boards of each and move them around and look at them at different times of the day and at night. There is not a significant difference between the two colors. In fact, if you painted one room one color and an adjacent room the other, they might very well look like the same color. The opposite is true that if you use one color in one room it could look very different in another. It’s all lighting and the other things that are going in the room. Pick the color that hums to you more, over-all. It’s impossible to say, I’m assuming you have cool fluorescents but there are warm fluorescents too. What color trim is used in that provided pic? Justine, It’s not my room, but there are a ton of whites that would be beautiful. I would look at white dove, 967 and 904. The latter is a color that looks particularly lovely with taupey colors. It looks a little pink on the chip, but does not look pink when up. Just very lovely and warm. Many thanks for your help Laurel!. Love your blog will be coming to and from over the next 12 months. Hi Layla, I wish I could help you but your question goes under the category of individual advice and for that there’s a fee. Thank you for your understanding. I love your article about choosing the right white paint. Some designers think that using the same white for the walls and the trim is acceptable. If you choose not to go that route, how do you recommend choosing two whites that go together? Is there a rule of thumb?